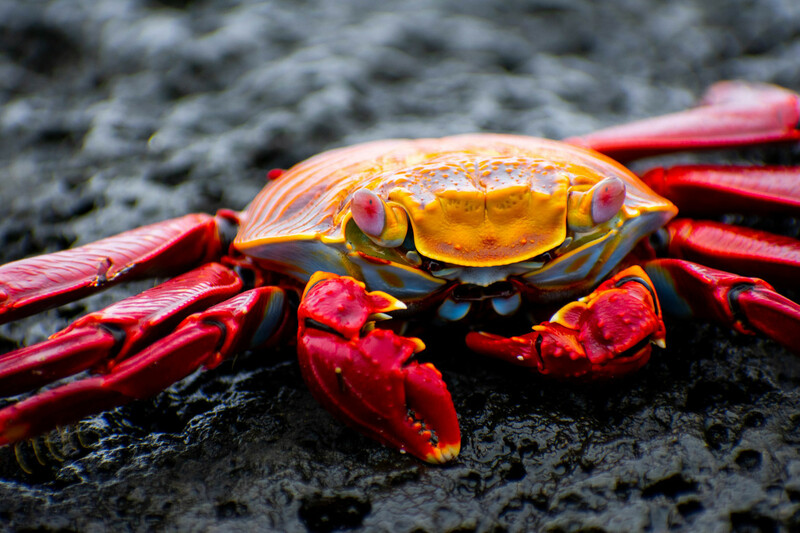 The Sally Lightfoot crab, having reached full adulthood, is an extremely colorful crab that can be found scouring the black volcanic rocks of the Galápagos coastline in search of food. These crabs have the unique ability to jump from rock to rock, allowing them to escape predators and travel longer distances more quickly. Photography really became a part of my life after living and working in the Kingdom of Wonder, Cambodia. After learning the importance of documenting my unique surroundings, I decided to upgrade my standard point-and-shoot to a DSLR. Now I am living in the Galápagos Islands, surrounded by some of the world's most unique wildlife as I capture and shoot one of the most beautiful places on Earth. Love this photo? Leave a comment! Subscribe to the Photo of the Day and receive these spectacular images weekly. Submit your photos for a chance to win a spot on Wildlife Photo of the Day! WWF & Natural Habitat Adventures. Discovering Our Planet Together. Since 2003, Natural Habitat Adventures has partnered with World Wildlife Fund, the world’s leading environmental conservation organization, to offer conservation travel—sustainable travel that supports the protection of nature and wildlife. NHA has provided more than $4 million to WWF and will continue to give 1 percent of gross sales plus 100,000 annually through 2023 in support of WWF’s mission to conserve nature and reduce the most pressing threats to the diversity of life on Earth. Learn more about the NHA/WWF partnership. © Natural Habitat Adventures. All Rights Reserved. Oh no! We couldn't send your message. Don't panic, just correct the following errors and try again. Recipient email(s) Enter multiple addresses by separating them with commas. Check out this amazing wildlife photo! The URL will automatically be included in the email. 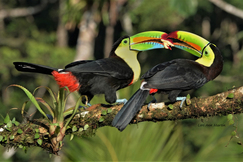 Wildlife Photo of the Day weekly email! Wildlife Photo of the Day is sponsored by Natural Habitat Adventures and World Wildlife Fund. NHA is a leader in responsible adventure travel & ecotourism, and WWF is the world's leading environmental conservation organization. Would you also like to receive eNewsletters from NHA and WWF, highlighting exclusive travel offers and conservation news about your favorite animals? 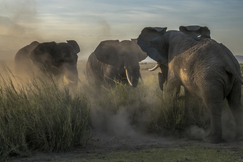 I'd also like to receive Natural Habitat Adventures' weekly eNews, featuring exclusive travel offers, wildlife photography hints, wildlife webinars, travel ideas, and more. 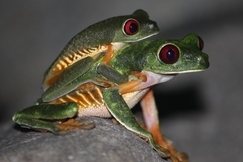 I'd also like to receive WWF's eNews, featuring conservation news, wildlife facts, victories from the field, and ways to engage with your favorite wildlife.